In Part Two, I covered our initial 725 miles (1,167 km) non-stop drive over just under 22 hours from New Jersey to Roberval, Quebec Province, Canada. 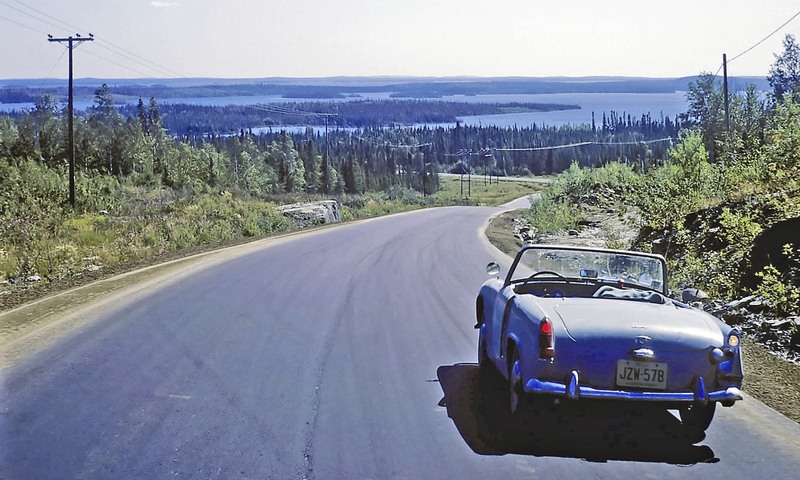 “Day Two” began at 9:45 AM August 31, 1966, in that lakeside town, driving North-West among more alpine lakes enjoying a smooth, well maintained paved road. 65 mph (104 km/hr.) was no longer practical on the gravel surface that stretched endlessly ahead. Stones occasionally pelted the sides of the car; and as this was lumber country, massive logging trucks would fly by enveloping us in choking clouds of dirt and dust. 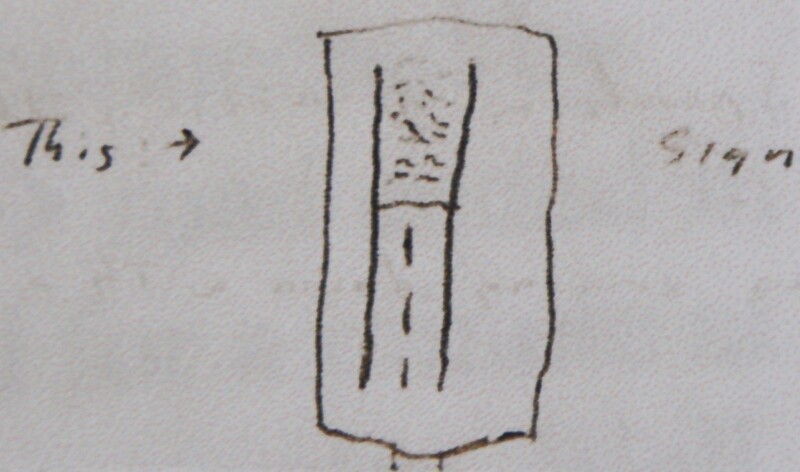 It would be 115 miles (186 km) before reaching pavement again, at the junction of Rt. 58 West (now known as Rt. 113.) After hours of gravel, the Sprite’s ride felt smoother than ever! 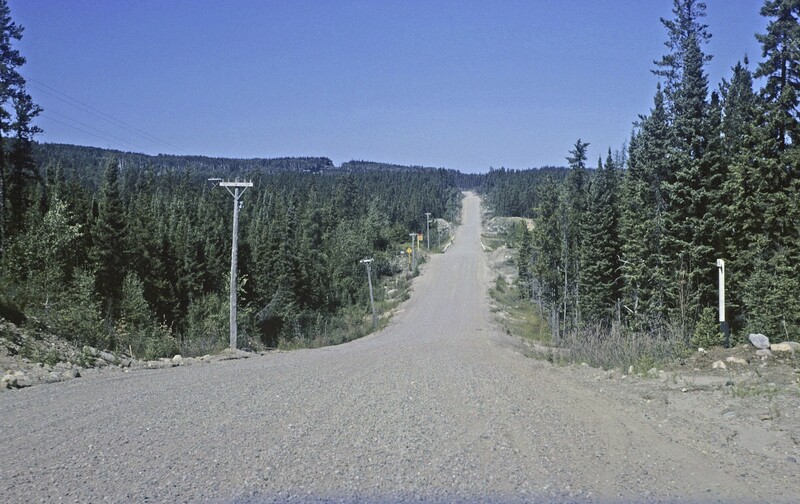 Eight miles (13 km) later we would be in the last town while heading north in this part of the world, Chibougamau, serving a growing copper mining region, logging, and the Royal Canadian Air Force radar services. Continuing, …the pavement ended again just past the town, as we once again were on the gravel road. Thirty minutes later we arrived at the barrier shown below. Its deterrent-rousing presence seemed to emphasize increasing aches and pains, emotional drain and weariness to us, not to mention the effects of dust inhalation and a worsening cold, on my part. We decided this would be our turn-around point as the road would end about 100 miles (161 km) further with limited or no amenities, and likely little change in scenery. 3:25 PM, 8/31/66, 918 car miles (1477 km) – 632 miles (1017 km) as the crow flies. The non-stop return trip would first take us over 200 miles (322 km) on an unprecedented, unexpected overnight challenge of gravel and poorly maintained, primitive dirt road before reaching dawn and the increase of population, north of Ottawa! See the conclusion of “A Northbound Adventure,” (Part Four) here. That looks like a poorly maintained sign . . . how did you even see it? Thanks for the view and comment, Agnesstramp. The car was the first of a number of wonderful British sports cars I owned and loved back in the day … and I still have a ’69 MGB in the garage – always there for those times for me to get out and feel the road again. 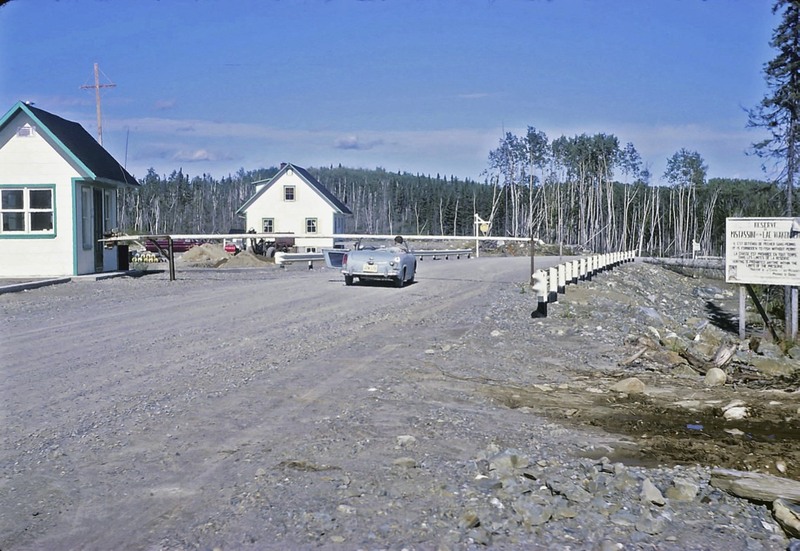 Back in 1967, a year after this adventure to Canada, my same friend and I drove cross-country on another get-up-and-go trip I posted about a while back titled “The Great American Road-Trip” which you can find in several parts on this blog.